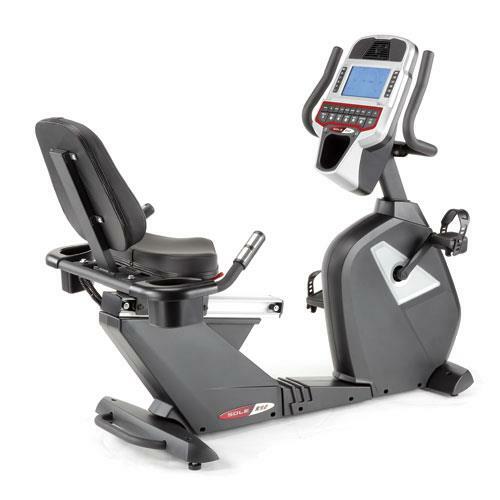 Recumbent bikes are becoming the latest trend in the exercise world and the Sole R92 is leading the pack. The reason: getting a great workout has never been so comfortable and relaxing. Statistics show that people are more likely to stick to a routine on a recumbent bike than other forms of exercise. Our integrated 9" LCD display with its programming is the main reason for this. If you're the type of person looking to be challenged, programs such as hill and strength will help users reach goals. Or if you're ready for the challenge you can set up your own designed programs with the User Defined feature or Heart Rate Control. Along with Fans, MP3/IPOD capability and these programs, the R92 will allow users to consistently and safely push themselves to the next level. And because it's compact and so easy to set up, you could have it in front of a window or in your office. There are no more excuses to not work out, the Sole R92 is the answer. Height(in. ):	50" Length(in. ):	57" Width(in. ):	30" Item Weight(lbs. ):	152 lbs. Weight Capacity(lbs. ):	325 lbs.